Everything that I read online about travelling in India somehow alludes to how dangerous it is. I constantly see posts on Facebook travel groups written by people who want to travel to India but are scared of what to expect, people who completely disregard India as a destination due to fear for their personal safety and people who put India on some kind of pedestal as ‘the worst place for women to travel in the world.’ I recently saw a request for people to share their most terrifying travel experiences and example was ‘being left alone in India,’ like shudder– imagine! I’ve also seen people say that they wouldn’t dream of couchsurfing in India. When scrolling my couchsurfing app before leaving for India, trying to find hosts for our first destination of Jaisalmer in Rajasthan, I was surprised to find various hotel and guesthouse owners using the couchsurfing service to offer up free rooms in their establishment. This automatically made me pretty suspicious- why would a hotel that usually gets paid guests give up a room for free? I don’t know what I expected but I assumed there’d be some sort of scam there somehow. Reading the references, I understood more the incentive of putting up a hotel on Couchsurfing. Most of the tourism revenue in Jaisalmer comes from desert safaris (no-one visits Jaisalmer without getting on a camel at least once) so by getting tourists in your hotel, you can persuade them to buy your package, out of good nature for letting them stay for free. I also read some reviews that complained that the hotels used Couchsurfing to squeeze as much money as possible from travellers (not exactly in Couchsurfing spirit). By attracting a large amount of tourists to your establishment, whether paid or free, they’re more likely to use your services, your restaurant, and your taxi drivers. It’s a clever idea really. I was a little hesitant to sign up to be pestered constantly by hotel managers trying to make up for the hotel fees they’d lost by hosting us for free. Despite this, I requested to stay at a guesthouse and was immediately accepted by one with multiple positive reviews, so we went for it. As always with Couchsurfing, it feels a little scary sometimes to turn up to a new place late at night with no booking confirmation for a place to say, just someone’s word over an app online that they’ll turn up, or let you in. The owner had messaged me online that one of his workers would pick us up from the railway station and true to his word, someone was there holding up a sign for the guesthouse. I expected that the driver would expect payment for this service (even paid hotels expect you to pay for pick-up services) but no one asked for a single rupee; we were treated like honoured guests. As it was in the very early hours of the morning, we were taken immediately to a room so we could get some sleep, without even checking that we were legitimate guests or had been assigned to a room by the owner. The hotel room was the best that I’ve come across in India. The floors were marble, the bed was an actual double mattress rather than two single beds pushed together and so plush, there was hot running water and there were even free toiletries and toilet paper! It was luxury at its finest. I couldn’t quite believe that they’d allowed us to stay in this palace for free. I had one of the soundest sleeps of my life until about 11am, when someone knocked on the door and said that we had to relocate as that room had been reserved for a paying guest. We were given ten minutes to wake up, get dressed and gather all our things to the lobby, where we were told that we’d actually have to move to a different hotel with the same owner because that one was completely full with paying guests. I have to admit I was a little irritated at that point; why accept my request if you couldn’t actually accommodate me and why take me to a place knowing I’d have to be reshuffled in the morning? It was probably more my tiredness and the long night on a sleeper train that contributed to my mood, however, as the second hotel was also lovely, especially considering we paid absolutely nothing towards it. We were also pleasantly surprised that no one had pestered us at all to buy the camel safari package that they offered; in fact no one had so much as mentioned it to us. It appeared that the owner had actually opened up his guesthouse for free all out of the goodness of his heart. Want to find out more about Rajasthan and its surrounding states? Read about Live Travel Teach‘s crazy Rickshaw Run adventure! We stayed for another night in Jaisalmer in our free guesthouse before starting to feel slightly strange that we’d never actually met the owner of the place, the guy who had allowed us to stay there in the first place. Coincidently, that very day I received a message via the Couchsurfing app inviting us to spend dinner with him on the rooftop restaurant of his main hotel. We met up with the owner that evening and had a lovely chat with him over a pot of chai -with the stunning view of Jaisalmer fort illuminated above us- about many different topics: Indian politics, travelling, why he joined Couchsurfing. We also met his wife and a few of his many children, who played music for the tourists in the restaurant. When we left the restaurant and went to pay for the tea, he stopped us and said that it was on him and also arranged for a ride back to the hotel we were staying at. What a lovely man! And yet Indians get a reputation for being greedy, it’s ridiculous. For the best tips on couchsurfing, check out Bren On The Road‘s post on Couchsurfing 101. Our next experience of couchsurfing in India was in Rishikesh, Uttarakhand. We stayed with a yoga and wellness instructor, in his ashram, next to his yoga studio. (Of course we did, it’s hippie capital). When we first arrived, our host was in the middle of a healing session with another travelling couple, so he quickly showed us to our room and gave us a pair of keys before quickly returning to the studio. Josh and I went out for dinner and for a wander around town and by the time we came back to the ashram, our host had gone out for the evening, so we weren’t able to talk to him at all for the first day. The second day we came home especially early in order to get to know our host before going back out for dinner and we got the impression that he really appreciated us going out of our way and changing our day’s plans to spend time with him. Gathered round in the ashram lobby on little wicker stools, we chatted for a couple of hours. Josh told him all about the work he was doing with his NGO in Punjab and I spoke about studying in Lyon, a city that he’d also visited many times. He was a well-travelled and very philosophical person who had been hired all over the world to help set up yoga programs and endorse the incorporation of mindfulness into education and sports. It was extremely interesting to hear about his life. He was also happy to give us a lot of advice about what to do during our stay in Rishikesh and organised a taxi to take us up to the Kunjapuri Temple for sunrise, where we’d begin our day trek the next morning. Then, he asked if we’d be interested in attending a workshop that he’d be holding the following afternoon at a local school, which we said we would. The next day, by the time we arrived back in Rishikesh after our trek, I felt so ill (the flu and diarrhoea having struck me for the second time in two weeks) that I had to text him and say that I didn’t feel up for the workshop. So, he delayed the whole thing to the day after to make sure we could come! That evening, his niece/daughter/wife/maid (we never found out their relation and it confused us the whole stay) made me a meal specially to help me feel better and our host told us that we could stay as long as we wanted until I felt well again. This is better hospitality than I’ve ever received in Europe. The workshop turned out to be a strange experience, to say the least. He drove us to the local school ten minutes away, where he attended himself as a child and told us stories about how it used to be within a residential colony for the factory. The factory had since been shut down and the residences no longer received public funding, resulting in the degeneration of the living quality though families continued to live there. Driving slowly through the residential colony, we eventually arrived at the school gates, which were opened for us upon our arrival. We were introduced to the head teacher and another member of staff and taken to a dark staff room, where our host told his colleagues where we were from and what we were doing in India. Then, we were led into a hall, where about 40 kids from ages 16-17 sat on the floor facing a stage. On the stage there was a long table with four chairs and we were instructed to sit up there, on the panel. At this point we started to panic. Why were we sitting at the front of the hall? We thought that we were watching the workshop, not leading it. The head teacher presented us to the class and gave us each a necklace of pooja flowers as a gift. Then, our host took over the lecture to talk to the students about achieving success and how meditation can help them in their studies. The whole talk was in Hindi with various parts in scattered English and throughout, teachers brought us water, chai and biscuits like we were venerated guests. It was quite amusing to watch a large hall of young adults be taught various meditation exercises, including humming loudly and repetitively for 4 minutes straight. However, for the most part, I couldn’t understand why we were there, up on a pedestal to contribute nothing to the workshop, as if we were there as examples of the success he preached about. The head teacher, who also sat on the panel, kept taking pictures of us on his phone, which started to irritate me after a while. It’s a least courtesy to ask, surely. At the end of the lecture, our host gave the microphone to me all of a sudden and invited me to say something about what I was studying. Put on the spot and completely flustered, I said that I’d have a think and passed the microphone onto Josh in a panic. As he is much more capable than I at human interaction, Josh spoke about the water conservation project he was leading in Punjab, which our host elaborated upon in Hindi to make sure they understood. After this, several of the children got up on the stage to show off various talents: one girl danced and another boy sung to the group. During their performances, the head teacher got up to take pictures of them performing, though I could tell from the angle of his phone that he was making sure we were in the centre of the shot in the background, which annoyed me further. The children are performing; take pictures of them, not us. Finally, the workshop ended and we were taken outside to the field, where we had group photos taken all together. Afterwards, me and Josh sat on chairs, whilst the children all gathered round to take a million photos of us, which was initially uncomfortable but became quite amusing, after a while. Once the interest had waned away and we were left alone, the teachers gave us a brief tour of the school, telling us various things about their education system. I returned back to the apartment with mixed feelings. Although it was interesting to see a local Indian school and have some insight into their education, I had some qualms about the whole situation. We were obviously there to solely be praised as white people. We had nothing else to contribute other than being foreign and it was uncomfortable to be forced upon a stage with nothing to say or offer. To perpetrate the idea that white people are superior, to a whole class of children, felt a little wrong to me. However, Couchsurfing let me be part of something that I would never have been without it. Whenever I couchsurf, caught up in the middle of conversation or a crazy activity like the workshop, I suddenly think- would I have ever met this person, or spoken to them, if I hadn’t signed up to Couchsurfing? Would I have ever done what I am doing right now? It wouldn’t have even entered my mind that some of the things I’ve done through Couchsurfing were possible for me. 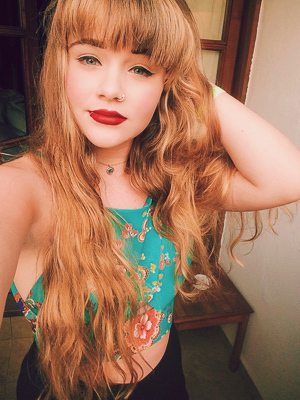 As a pretty timid English girl who finds it hard to get out of my comfort zone and introduce myself, Couchsurfing gives me opportunities beyond my imagination. Ultimately, we had a positive experience couchsurfing in India. Both are hosts were gentle, open and intelligent men who had endless patience and kindness to offer us. Our last host allowed us to stay two extra days when I was feeling rough and not ready to travel, he cooked us meals and sorted out various transport for us, making our stay in Rishikesh a much easier and lovelier experience. Read more: Are you a scuba diving fanatic? Check out the Art of Scuba Diving’s post on the best locations for scuba diving in India. I’ve never couch surfed before, but definitely going to try in the future. Thanks for sharing your experience. This is a completely wonderful and fascinating post!! I’m a little shy to admit that I have heard lots of scary stories about India, but maybe I would enjoy it more than I think. It certainly has lots of history and culture – that alone makes me want to go! Thanks for sharing! Wow! You are brave, I didn’t consider couch surfing in India. Now knowing you’ve done this and shared you experiences I will probably go back and do this. Also to visit these destinations as i’ve never visited before. It sounds like you really had a good time connecting with the locals, making it such an authentic experience! The school visit, I can also relate. When I visited forts or monuments in India people crowded around me and wanted photos just because I was white. I felt super awkward and annoyed at the way they view us due to our skin colour. All in all, great post! I loved it.